Two Thursdays ago, 7:30 pm. And listening to “This Is Where We Live” on the radio. The topic was “How to Be More Creative” and the guest was the “Director of Mindfulness” at local insurance giant, Aetna. “We think having multiple e-mails open at a time while listening in on a conference call is multi-tasking. But, what we’re really doing is skimming the surface. And, that’s not conducive to creative thinking,” Mr. Director of Mindfulness said. I put my phone away and turned up the radio. For the next 29 minutes I listened to words and concepts that I already know but continually need to be reminded of. As the show’s jingle signaled the end of the program and 8 pm, I took my phone back out and texted my son: Done? Time to go home! 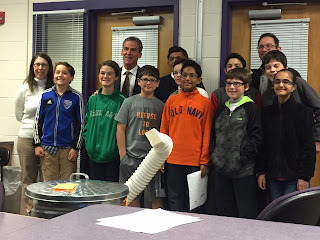 Five minutes later, with no response, I got out of my car and went inside to the “engineering paradise” that is my son’s robotics coach’s basement. Coach was wrapping up their meeting, giving them their homework assignment, reminding her team of the upcoming meet and all of the work still yet to be done. Sigh. Clearly the universe was not giving up on its tutorial. Multi-tasking makes daily life go ‘round, obviously. There’s not a human among us, man or woman, that can run a household, raise kids, have a career, or care for an aging parent without mastering the art of doing this on the way to that. But when it comes to creating (writing a novel, forging a political movement, finding a cure, programing a robot) doing multiple things at once usually accomplishes one thing: Nothing. Focusing isn’t easy. The rewards often aren't immediate. 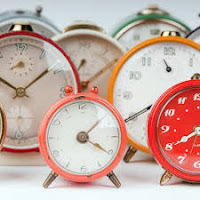 Other endeavors may suffer and it can feel like (gulp) wasting time. 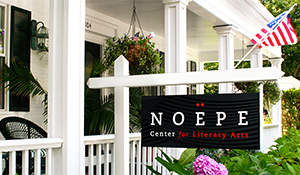 Last spring I had the honor of being a Writer-in-Residence at the Noepe Center for Literary Arts on Martha’s Vineyard. My assignment: finish the second (or was it third?) draft of my young-adult novel. I love goals. Goals are teddy bears for the achieving soul, soft spots on which to rest an inexhaustible quest for accomplishment. Proof of time well spent. Up at six, I’d re-read what I had written the day before and tackle one new chapter, reward myself with coffee, two more hours, shower, more writing, maybe lunch or a snack, and more writing. Then (because there were some really amazing writers sharing the space) I’d attempt to casually make dinner plans, not giving away any hint of how desperately I needed to speak to a human. On day five, I physically could not write anymore. Worse, I didn’t want to write anymore. And that was scary, because my love affair with words is one of the great loves of my life. “Yes! You really should come home.” That’s what I wanted him to say. But, he didn’t. Because he knows me. The next morning I slept in and then took a drive. I stopped at a local library and signed up for a drop-in young-adult book discussion. I tried again. Admitted to myself that one of my main characters was in need of a major overhaul. I’d strung traits together that were too much like real people I knew, making my character wishy washy and boring. And, so I began—playing. Mind-mapping. Writing new passages. This exercise set me back, moved me temporarily further away from my goal. But I did it anyway, because I had the time. The residency taught me that more time doesn’t always produce more. But, it can produce better. It also taught me that being present to a task is different than setting a goal. Goals are dictated by time. Focus demands a faith that what we’re doing, with our time, has value. And that, in a nutshell, has always been the issue for me. Giving myself permission to value what’s important, to me, with no guarantee of success or worldly approval. Which leads me back to my son’s robotics team. They’re developing a prototype for a hybernaculum to save the bat population from White Nose Syndrome. Turns out that the number of bats in the world has dramatically decreased due to this syndrome and therefore bugs carrying devastatingly dangerous diseases like Malaria and Zika have flourished. This team of kids, in addition to programming robots, gathers multiple times a week to tackle issues beyond the scope of quick understanding. Make no mistake about it—they’re trying to win a competition. But they’re also learning skills that will serve them well into their adult years. How to tackle a complex problem, together. How to trust that their ideas have value. Whether or not they ultimately win the prize.